Back by popular demand, Bomber Legends has produced a 2006 B-24 Liberator and B-17 Flying Fortress calendar. These calendars are packed with color and black & white photos, historical descriptions, and dates. They've also produced, for the first time, a 2006 Bomber Legends WWII Wall Calendar. Aircraft featured include PB4Y-2, PB-J, B-24, B-17, B-29, B-26, A-26, B-25, and A-20. This is an oversized calendar, measuring 11 x 14. The ad for these calendars is shown here. For every copy of the calendar sold to our members, Bomber Legends will reimburse our organization $1.00 per copy sold. 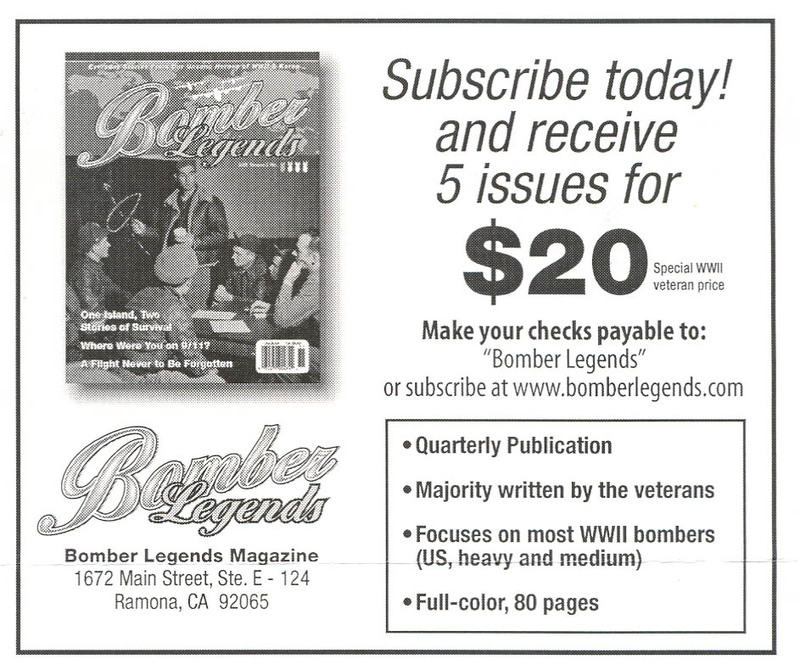 In addition to the calendars sold by George B. Welsh's organization, they also produce "Bomber Legends" magazine. See below for more information on this publication. 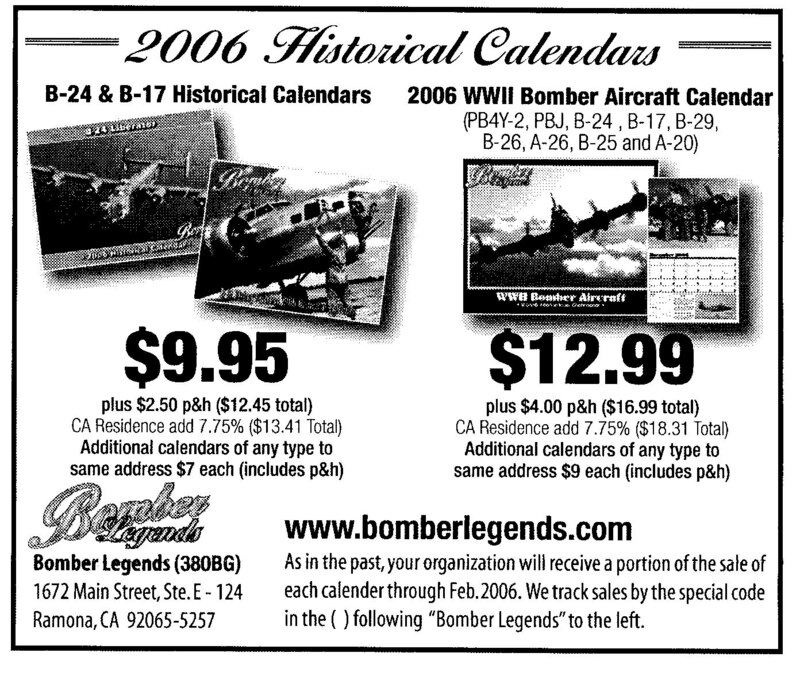 Bomber Legends is also seeking high quality photographs and historical information for three 2006 calendars: B-24 Liberator, B-17 Flying Fortress, and a Bomber Legends Calendar. The Bomber Legends Calendar will feature all WWII bombers and be widely distributed to mainstream bookstores (such as Barnes & Nobles).